Nestled on the eastern shores of spectacular Vancouver Island, the Town of Ladysmith BC features all of the warmth and charm of small town living with a full range of services and amenities. Ladysmith is a growing community (population 8500) located just 88 km north of Victoria and 23 km south of Nanaimo. 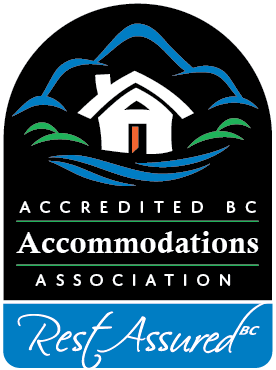 Your Ladysmith Bed and Breakfast innkeepers will surely tell you about the award Ladysmith won in 2003 called the National Communities In Bloom award. Ladysmith offers world-class outdoor recreational opportunities; a renowned trail system through picturesque forests; first-class shopping and dining in the historic downtown area; and fun-filled waterfront activities such as kayaking, at pristine Transfer Beach. Ladysmith is known for its abundance of community spirit – share in the excitement at any one of their legendary annual celebrations, such as the Festival of Lights beginning on the last Thursday of November, or Ladysmith Days during the B.C. Day long weekend at the beginning of August. 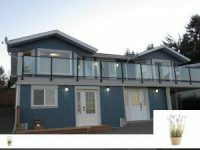 The Coastal Lavender BnB is your Vancouver mid-Island preferred accommodation. An absolute hidden gem! Outstanding value, and the best crepes in town!